The sound of Marshall University’s jazz studies program is thundering east to the capital city with a series of jazz combo performances on Oct. 21, Nov. 18 and Dec. 2 at Elk City Records on Charleston’s West Side. Jeff Wolfe, instructor of jazz studies at Marshall, said the idea began after he became friends with Elk City Records owner Phil Melick, a jazz aficionado. 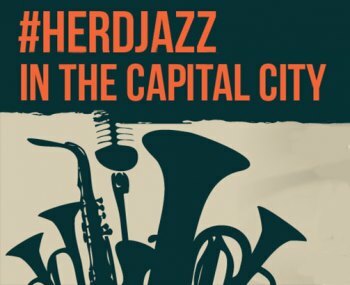 “I saw this partnership as an opportunity to spread the word about the jazz studies program at Marshall in the Charleston area, expose the members of Jazz Combo I to a new audience, and help promote the preservation of jazz through the recordings available at Elk City Records,” Wolfe said. Elk City Records is located at 311 Washington Street West in Charleston. The performances begin at 1 p.m. and are free and open to the public. For more information, contact Wolfe at wolfe9@marshall.edu.